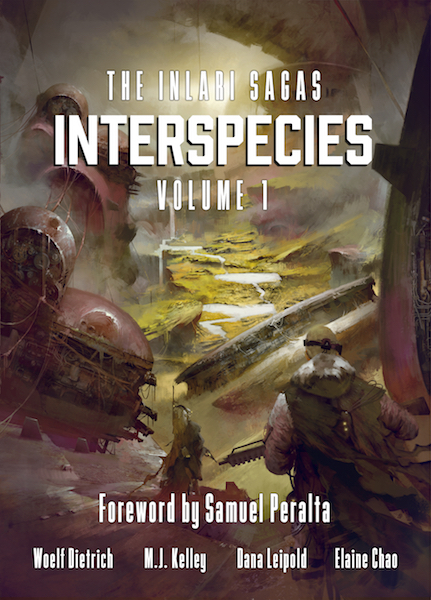 I’m proud to introduce Kōsa Press’ new book, Interspecies, a shared-universe anthology about the struggle between aliens and humans on post-apocalyptic Earth. It includes a Foreword by Samuel Peralta, Ph.D., creator of the esteemed Future Chronicles. Fifty years after first contact with the inlari, war ravaged the Earth, leaving New Zealand and Australia the victors and survivors, but at a devastating cost. As human and inlari factions compete against each other in the struggle for power and resources, some seek zealotry and dominance. Others strive for peace and unity—and with them, hope still lives. Interspecies is a shared-universe anthology with four stories of transformation, survival, and the eternal search for meaning and purpose in a turbulent world. Can inlari and humans alike bridge the gap created by their prejudices? Or will one species forever rule the other? As a special “New Release” deal, we priced Interspecies at only .99 cents until June 7 (US$4.99 thereafter)! Anyway, as you can imagine, we’re thrilled to put this anthology out (to say the least). It’s been a long, bumpy road, but we kept going. Interspecies is filled with good, strong stories that take place in a broken world, brimming with violence and nihilism. But there are also hope and love, and these opposing forces continuously clash. When you decide to pick up a copy, which would be so awesome of you, I sincerely hope you enjoy it. And whether you enjoyed it or not, please let me know, either as a review or by contacting me through the blog.